Arizona PTSD & Emotional Distress Injuries: When Can You Sue? People involved in serious accidents have been known to develop PTSD. 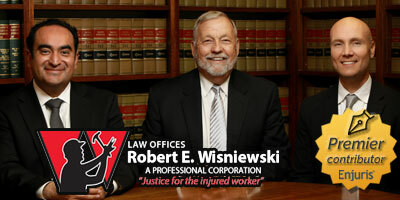 In these cases, a personal injury lawsuit or workers’ compensation claim might be appropriate. If you’re injured as a result of someone else’s negligence, you can recover medical expenses and lost wages. In addition, you can receive compensation for your pain and suffering. Sometimes, the mental anguish you suffer as a result of the conduct is so severe that it rises to the level of a post-traumatic stress disorder (PTSD). PTSD is a psychiatric disorder that can occur in people who have experienced a particularly traumatic event. Symptoms may include flashbacks, nightmares, and severe anxiety. Let’s take a closer look at how PTSD impacts a personal injury claim in Arizona. According to the Posttraumatic Stress Disorder Alliance, an estimated 70% of people have experienced a traumatic event at least 1 time in their lives and up to 20% of these people develop PTSD. According to the American Psychiatric Association, symptoms of PTSD fall into 4 categories. The specific symptoms in each category can vary in severity. Intrusive thoughts, such as repeated and involuntary flashbacks or dreams. These flashbacks and dreams can be so severe that the victim feels as though they’re re-living the traumatic event. Avoiding reminders of the traumatic event. For example, a traumatic car accident might cause a person to avoid driving or riding in a car. Negative thoughts and feelings that might include distorted thoughts about the victim (e.g., “I am bad” or “it’s all my fault”). Such thoughts can cause the victim to become detached or estranged from others. Reactive symptoms, including irritability, angry outbursts, reckless or self-destructive behavior, and problems concentrating or sleeping. It’s common for victims to experience some or all of the above symptoms in the days following an accident. However, to be diagnosed with PTSD, symptoms must persist for more than a month and generally persist for several months and sometimes years. In addition, for people to be diagnosed with PTSD, the symptoms must cause significant distress or affect daily functioning. Can I sue for this type of injury? If you’ve suffered PTSD as a result of an accident or injury, you may be able to get compensation for the disorder as part of a personal injury lawsuit or an injury-related insurance claim in Arizona. If you’ve suffered PTSD as a result of an accident caused by another person or entity’s carelessness, you may be able to recover damages by filing a negligence lawsuit. Enjuris tip: Picking the right personal injury attorney for your case can be tricky. Get tips here. Duty. You must prove that the other person or entity owed you a duty of care. Breach. You must prove that the other person or entity breached that duty (in most cases, this means the person or entity failed to behave as a reasonable person would under the circumstances). Damages and causation. You must prove that the damages you sustained were caused by the other person or entity’s breach. In other words, but for the actions of the person or entity, you wouldn’t have suffered PTSD. If you suffered PTSD as a result of a workplace accident, you may be able to file a workers’ compensation claim. Generally, mental illnesses aren’t covered by workers’ compensation insurance. However, in Arizona, PTSD is covered so long as the victim can show that “some unexpected, unusual or extraordinary stress related to the employment” caused the PTSD. For example, first responders who suffer PTSD may qualify for workers’ compensation. Enjuris tip: In an effort to help first responders, Arizona passed the Officer Craig Tiger Act in 2018, which requires employers to provide certain resources to first responders. The reality is that receiving workers’ compensation benefits for PTSD is an uphill battle. Insurance companies are often skeptical of mental illness claims — in part, because these injuries cannot be “observed” like a broken bone or lost limb. To successfully recover the compensation you deserve, it’s important to find an experienced workers’ compensation attorney as soon as possible so that you and your attorney can start gathering evidence and preparing your claim. Enjuris tip: There are a number of steps that must be taken in order to file a workers’ compensation claim in Arizona. On top of that, most of these steps must be completed by a strict deadline. Read our article to learn more: How to File a Workers’ Compensation Claim in Arizona. Enjuris tip: Use our Post-Accident Journal to help document the impact of your injury on your daily life. Also, use our Damages/Expenses Worksheet to keep track of the medical costs associated with your injury. In the case of a workers’ compensation claim, you can recover medical expenses and income replacement benefits. In general, all reasonable and necessary medical treatment will be covered. As for income replacement benefits, the amount you receive will depend on the severity of your injury. Notably, punitive damages are NOT available in an Arizona workers’ compensation claim. PTSD can significantly impact your day-to-day life. Additional support is available in Arizona and we encourage you to contact these organization to help you on your long road to recovery. In addition, we encourage you to consult a personal injury or workers’ compensation attorney near you if you have questions about your legal options and right to compensation.